Over the past few months FYM has had the pleasure of getting to know a brilliant singer/songwriter out of NashviLLe Tennessee - RayLand Baxter. Summer 2011 has been an impressive journey for RayLand -selling out shows across North America while on tour with The Civil Wars, Grace Potter and the Nocturnals, even opening for the peerless Willie Nelson in Salt Lake City recently. 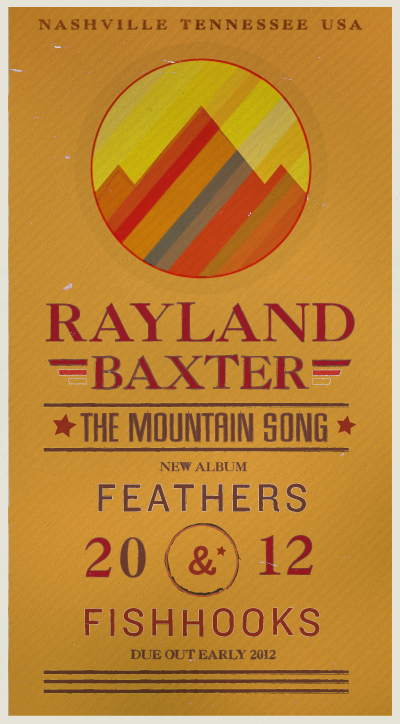 Today forYoungModerns is proud to showcase Baxter's latest music video for a new tune (The Mountain Song) off his highly anticipated album Feathers and Fishhooks -due out early 2012. So I am staring at the gates of all my dreams, Yeah, and I can see you far inside, cause you're walking down the road with me. Down the mountains and the valley's like the breeze -Yeah we going where we wanna go, Yeah we doing anything we please. But if I could give you everything I would, all the forests and the flowers and the trees. But if Love is all you need then we are good, for Love is all I have to give -won't you tell me you're the one for me. 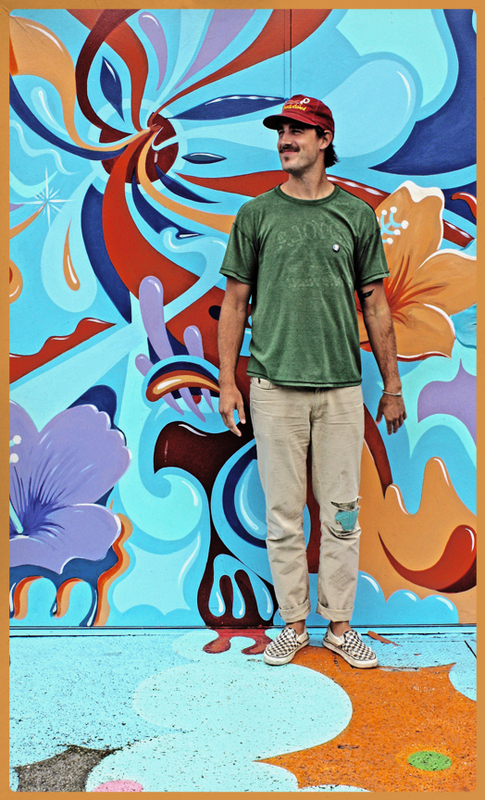 The video itself- is a fluent honest portrayal of who RayLand Baxter truly is -a kind, charismatic, genuine spirit. It should be mentioned that Ryan Holmberg (Iron Lung Studios) did an amazing job editing this music video -going through hours of footage from Baxter's summer tour adventures, ultimately pairing together three and a half minutes of beautiful life moments from the road -set to an incredible song.